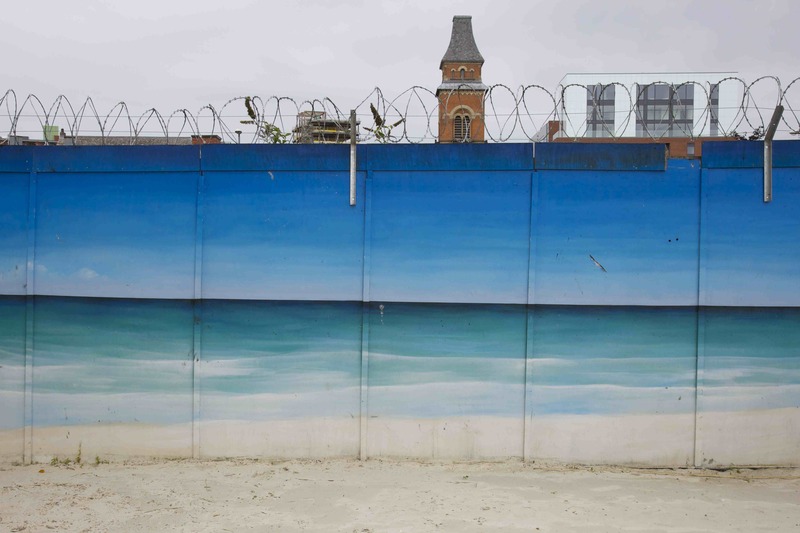 In 2002, the artist Dan Dubowitz was commissioned to contribute to the regeneration of Ancoats – an old and dilapidated industrial quarter of inner-city Manchester. 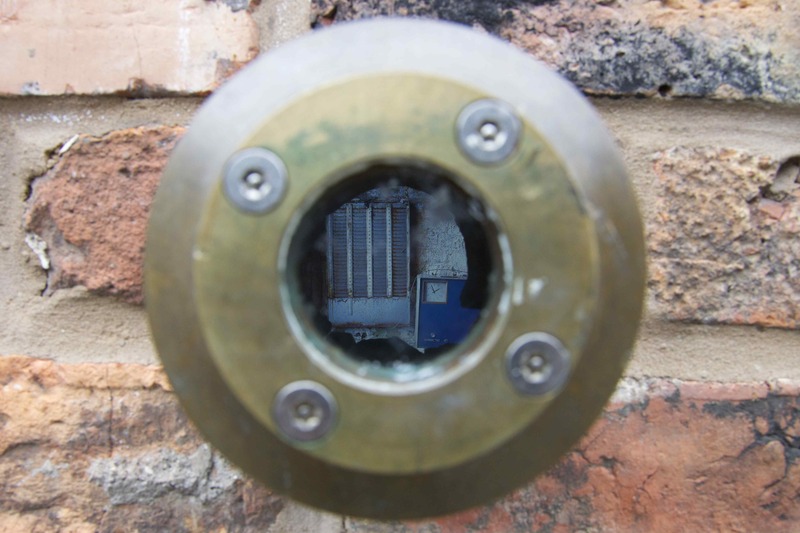 Over the next eight years, he made a series of ‘Peeps’ – twelve brass peepholes in the walls of buildings viewed from the streets which revealed installations constructed in steel boxes embedded in the cavities behind. In addition, Dubowitz also helped create the area’s first public square – the Cutting Room – opened in 2010. 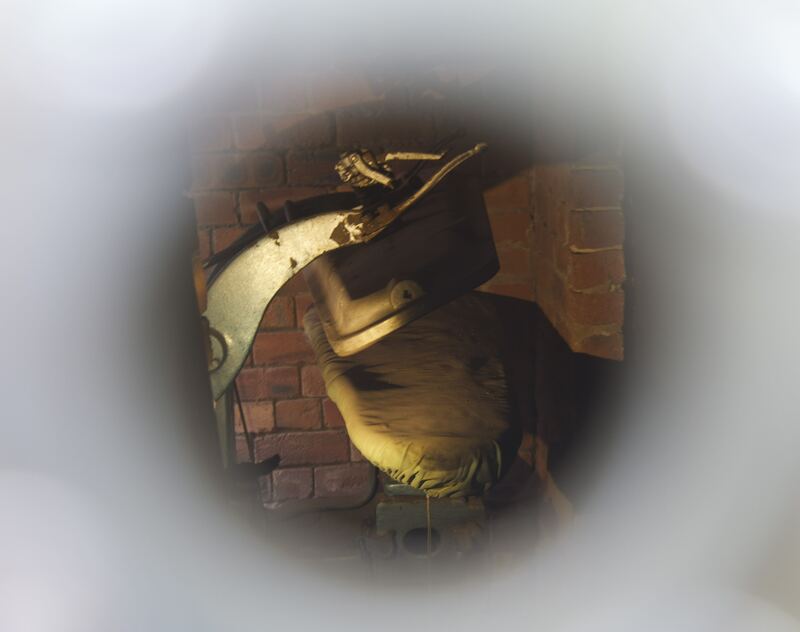 As documented in the 2011 book The Presence of Absence, the Ancoats Peeps offer ‘a fleeting glimpse of a walled-in space; a tunnel, a disused toilet, a spinning governor, a bell tower, a gauge.’ The worlds seen through the Peeps are intimately connected with Ancoats’ industrial past. It was once the first industrial suburb of the centre of the world’s cotton industry – that is, early Victorian Manchester – and the Peeps are saturated with nostalgic images of heavy industry: strange machines (2), dials, dirt and the toil of incessant work governed by the clock (1). Yet, despite being grounded in the history of the area, they are enigmatic images, strongly suggestive of former lives but ultimately mysterious in their meanings. As an integral part in the planned regeneration of Ancoats, the Peeps are also much more than isolated visual reminders of the area’s industrial past; rather, they’re very much part of a projected image of a future for this now run-down and virtually silent part of the city. 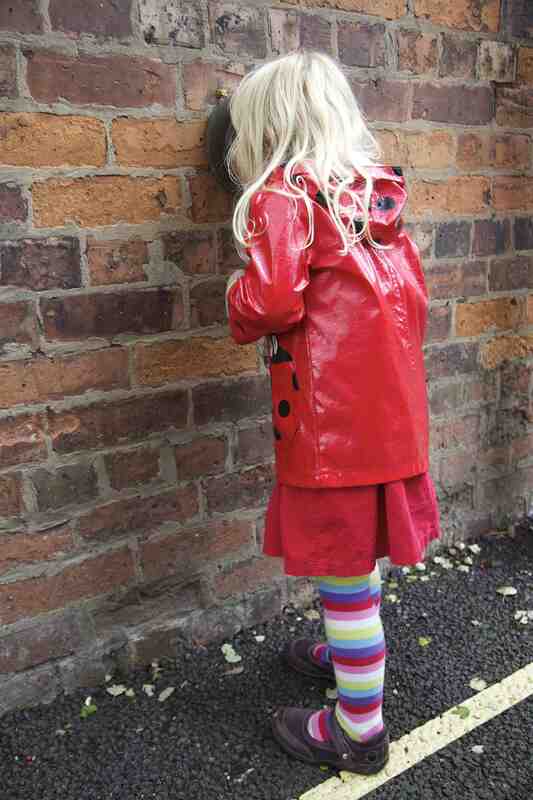 Walking around Ancoats on a grey Sunday afternoon with my wife and daughter, searching for the Peeps was bound up with experiencing the city in a new way. Ancoats is not an area of Manchester one would visit for any reason: it’s a forbidding place, almost devoid of people, its buildings seemingly in an interminable state of decay apart from a few pockets of gentrification. 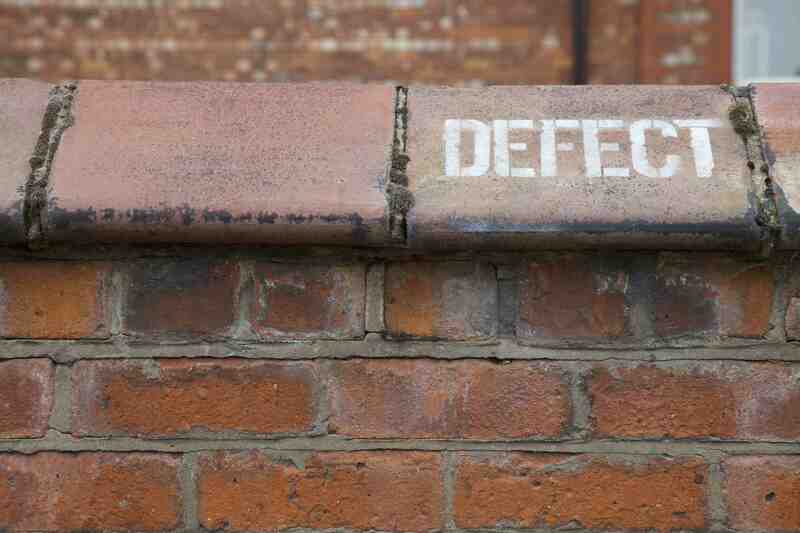 In the courtyard of one former warehouse, now converted into apartments, a makeshift nightclub is walled-in by images of the sea, its floor covered in sand (3); the wholesale decay of other buildings offering strange patterns that are sometimes mirrored in the forms of the peeps themselves (4); while a single tile on a wall is stencilled with the word ‘DEFECT’ (5). 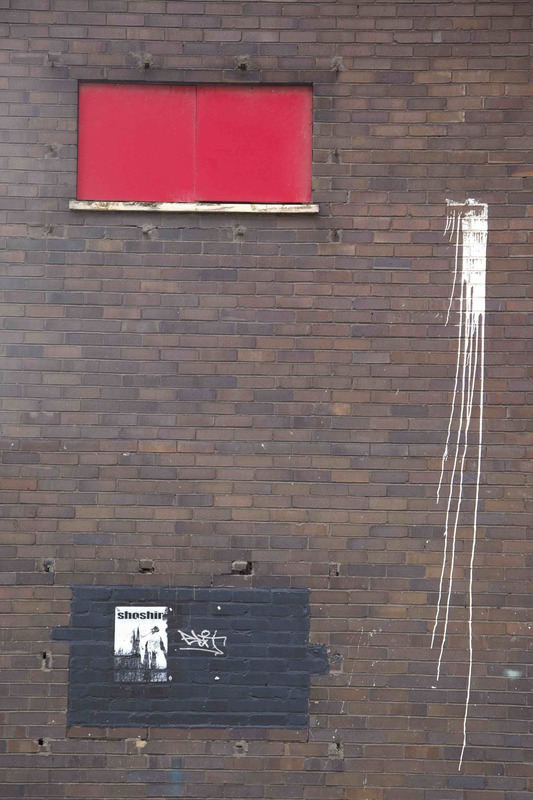 Are these also artists’ interventions, bits of history, or simply the result of natural processes of decay? 5. Defective tile or artist's intervention? In one sense, the creation of the Peeps and the activity of looking for them makes you see urban space in a different way, one that makes everyday things suddenly seem like art (and vice versa). This re-enchantment of urban space has a long history, often bound up with densely theoretical texts and practices, but the way it happens here is disarmingly simple and bound up with an experience that is open to all (6).